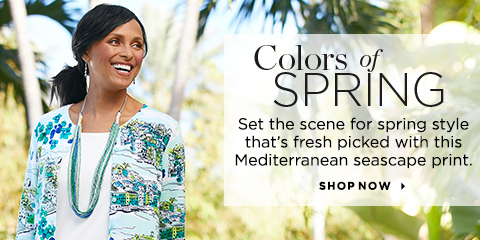 Let your personal style shine in sweaters from Christopher and Banks. We offer a variety of styles and designs that are comfortable, contemporary and accentuate the features that women want to highlight the most. If you want to look your best, look no further than Christopher and Banks. Why do some women always look so put-together and classy? It’s simple. They understand their own body types and what different styles of clothing do to either emphasize their best assets or draw attention to their problem areas. Before you start clothes shopping, consider what makes you stand out in a positive way. Where Does The Hem Fall? Eyes will naturally be drawn to a hemline, where there is a break in a pattern or fabric. While almost every sweater lands somewhere around the waist or hips, even a couple of inches can make the difference between a sweater that makes you look boxy versus one that is chic and feminine. A hemline that lands slightly above the hips will lengthen your legs while drawing attention to your natural waist (many women’s most narrow area). In contrast, if you want to elongate your torso, dropping the hem to below the hips will create a lean look on top. Just remember that longer sweaters often look best when worn with more form fitting jeans or pants. How Bulky Is The Material? Sweaters can be made from a variety of fabrics. Soft and thin acrylic cotton can be great for transitioning from season to season, while thick textured cable knits work well for cooler months. In either case, a sweater’s thickness can influence the rest of your outfit. Any bulk in one area should be counterbalanced with structure in another. Complex fabrics may also look best with more subtle accessories. When put together they look complementary rather than overwhelming. What Details Am I Looking For? Do you need a sweater for a holiday gathering? Are you trying to find an interesting design that strays from your usual solid colors? Small details like the sweater’s neckline, abstract pattern or button-versus-zip up closure can be the distinction you’re looking for. Our collection is full of interesting shapes and colors that stray from the standard. Everything from cascading and ruffle-like cardigans to cowl necks and sparkle-embellished fabrics can be worn in a multitude of ways. Do not hesitate to go off the beaten path and add a few unique pieces to your wardrobe. The most fashionable women know how to choose items that mix and match with a variety of pieces in their wardrobe. A red cardigan can work well as a cover up for a dress in warmer months and as an office appropriate shirt year round. There is no single way to style a sweater. As you shop around, think about how you would actually integrate a sweater into your wardrobe. What jewelry or scarves might look great with it? Would you wear it with a skirt and with pants? Can it transition from casual weekend attire to an evening out with friends? Comfort and versatility should be a priority, and our sweaters offer both in a variety of styles. A wide range of classic cuts can be found in our collection. Everything from our pullovers and cardigans to jacket-style silhouettes and patterned sweaters can they work well as highlight pieces in an outfit, or as backdrops for other more notable accessories. It all depends on how you choose to put your ensemble together.